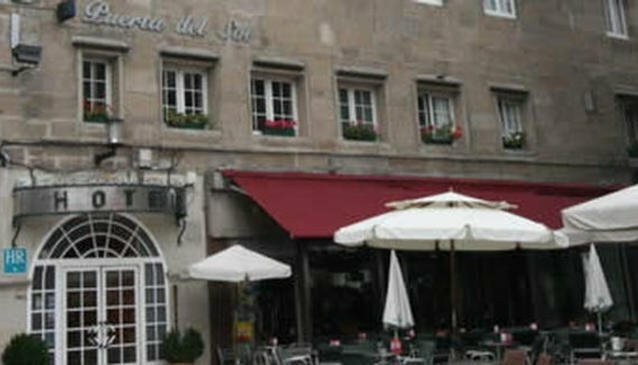 With its central location, Hotel Puerta Del Sol is within easy reach of most tourist attractions and business addresses in Vigo. All hotel's guestrooms have all the conveniences expected of a hotel of its class to suit guests' utmost comforts. All of the bedrooms have a hair dryer, in room safe, television, bathtub, shower, separate shower and bath and microwave. Guests staying at this Vigo accommodation can enjoy a wide range of hotel facilities such as 24hr room service, shops, bar/pub, business centre and pets are allowed. The hotel provides a warm and welcoming service of international standard.